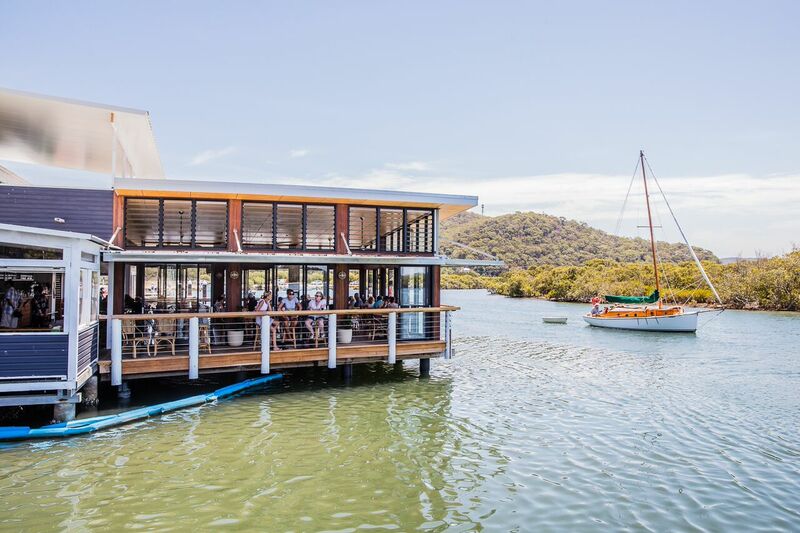 Visiting Woy Woy for lunch or dinner at the Wharf? We’ve rounded up some of the latest and greatest places to hit on the Central Coast while you’re here. From natural wine and custom tattoos, to handmade pasta, tarot cards and the best fishing on the central – enjoy. Are we biased? Maybe. These guys have a marinara pizza named after us – The Fisherman’s Wharf – which comes stacked with our tuna, salmon, squid, calamari, prawns and scallops. Owners Cate Stewart and Tim Stockton are old friends of ours (they got married at the Wharf! ), and their restaurant has that real retro, Tiki-esque feel that was popular in the ’80s and ’90s, but the pizza is actually good. The roasted fennel with spicy salami is a standout, and The Calabrese, which teams mushroom, bocconcini and fresh basil with olives and pepperoni (surely both count as part of your five-a-day?). Anyone who says Woy Woy isn’t hip hasn’t been to Frankie’s Rooftop at The Bayview Hotel. And it’s only going to get better now that Lucky Bee, late of New York, is set to take over. 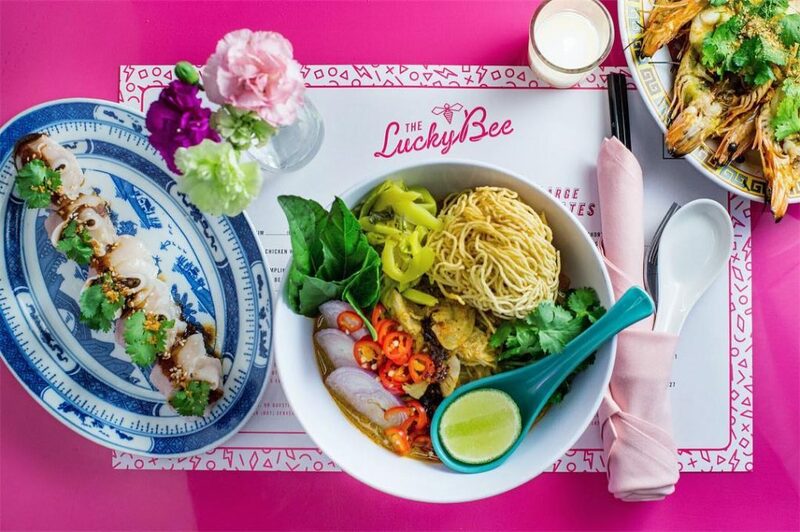 Lucky Bee’s focus is on fiery south-east Asian street food. 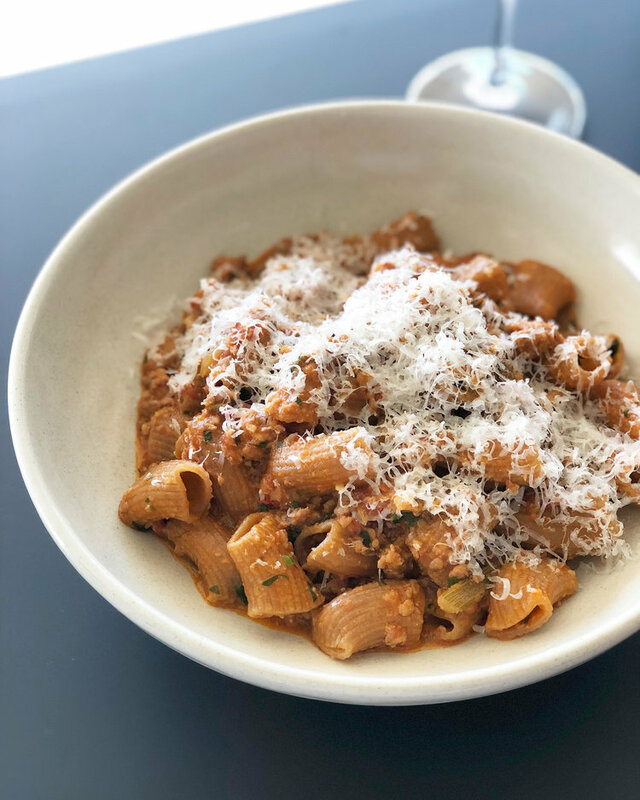 The chef, Matty Bennett, cooked at Longrain in Sydney for a few years and knows how to work spice, citrus and sugar to positively dizzying effect. 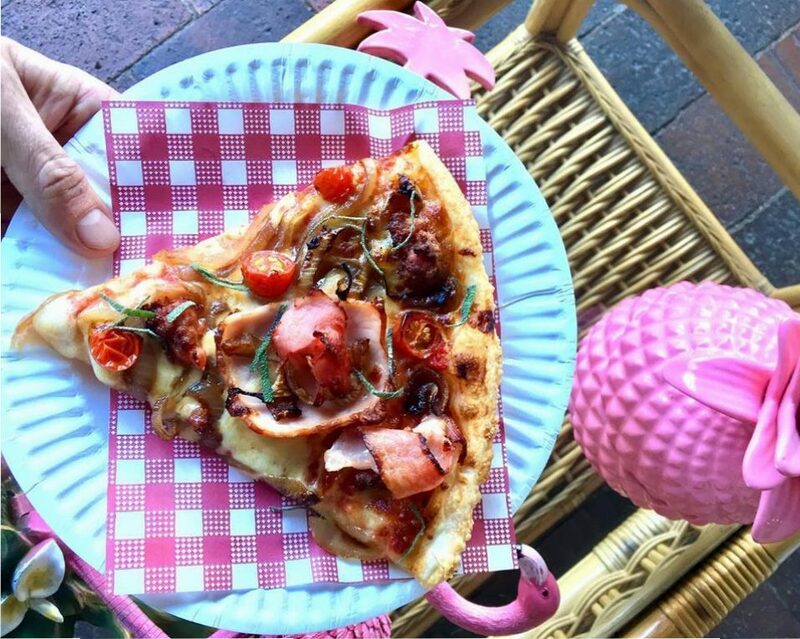 Along with the usual Woy Woy suspects like cold beer, sunny cocktails and views over Brisbane Water – Lucky Bee is expected to serve food until midnight (winning!) and offer a boozy brunch on weekends. See you there for a Scorpion Bowl in the sun. This is a good date place: the food is great, the service is slick, and it’s intimate with only 30 or so seats. Plus can you really go wrong with housemate pasta and gelato? Chef Dannielle Mills makes the pasta fresh each day with beautiful, high-quality ingredients, sourced locally. The tagliatelle with hearty slow-cooked pork neck is ideal winter eating, or cross your fingers for spaghetti with the simple likes of black mussels, tomato, garlic and crunchy pangrattato. The natural-leaning wine list is fantastic, too, with a good selection of Australian wine and spirits. Or for the non-drinkers, there’s always Black Radish Kombucha, made nearby in Berkeley Vale. When in Woy Woy, hey? The artwork coming out of this studio is exceptional and equally as good, if not better, than the studios you’d find in the big smoke. They’re well known for retro-style rockabilly tats like palm trees and Hawaiian girls in hula skirts, and people travel from the city to get them. We’d be tempted to go all-out Tiki and team a new tattoo with cocktails at Tropicana Pizza Pizza after. This uber friendly place, just diagonally across from us, has been in Woy Woy for more than 20 years. It has that quirky, old-school hippie charm that you wouldn’t find in the city. Nine smaller businesses, grouped together in their own little block, each specialise in something different. It’s pure Central Coast. From crystals, fair-trade clothing and incense, to tarot cards, yoga classes, coffee and delicious cake at Gnostic Mana. You can’t visit Woy Woy without exploring this pocket. This place has a total cult following. People train up from Sydney for their haircuts, which they call fadez. Owned by barber Kruz Corbett, it’s got plenty of character (and refreshments, to boot). They get lots of famous NRL players and rappers coming in for cuts, and are never not blasting ’90s R&B loud and proud. The motto is, “We sell confidence via haircuts.” Enough said. Up there with the best, and best-value, breakfasts in Woy Woy. 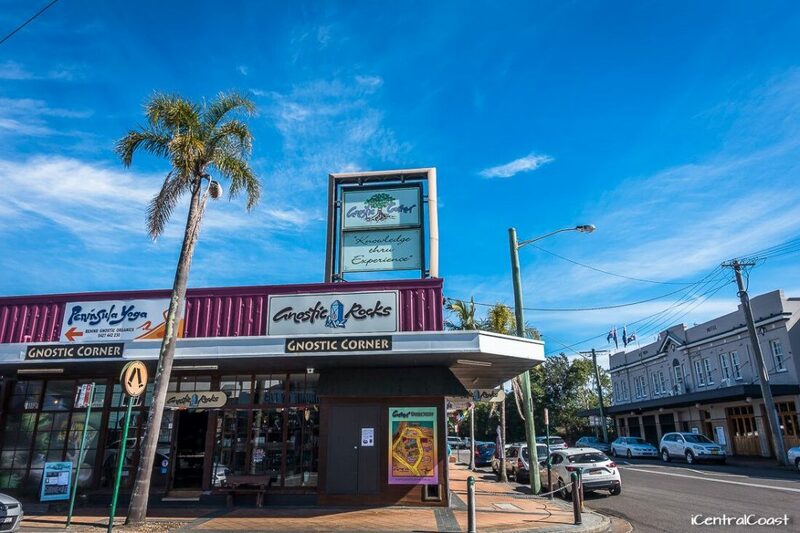 We love this place for the relaxed vibe, sunny service and fantastic coffee. 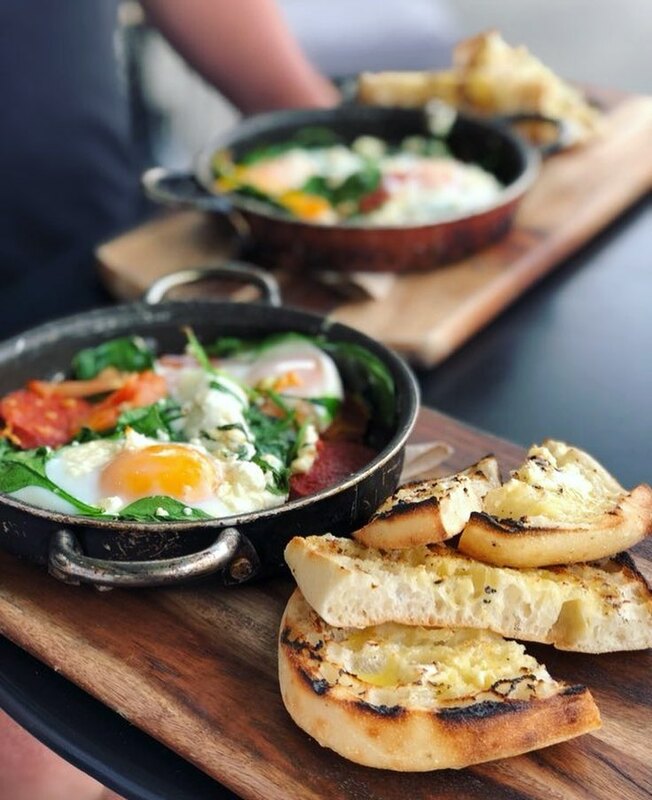 The owners have a fine dining Turkish restaurant in Ettalong called Safran, and while Cook & Co is far more casual, it’s just as well run and beautifully designed. Plus the mushroom toastie is a knockout. On days off, we love to visit the Ocean Beach, at the northern end of Umina, and Umina Beach, on the southern end. Both aren’t as rough as Avoca, say, and are patrolled most weekends (so it’s a great place to take the kids for easy and accessible swimming). Pack a picnic, too, and you can sit and enjoy wonderful views out towards Lion Island, Pittwater and through the heads of Broken Bay. 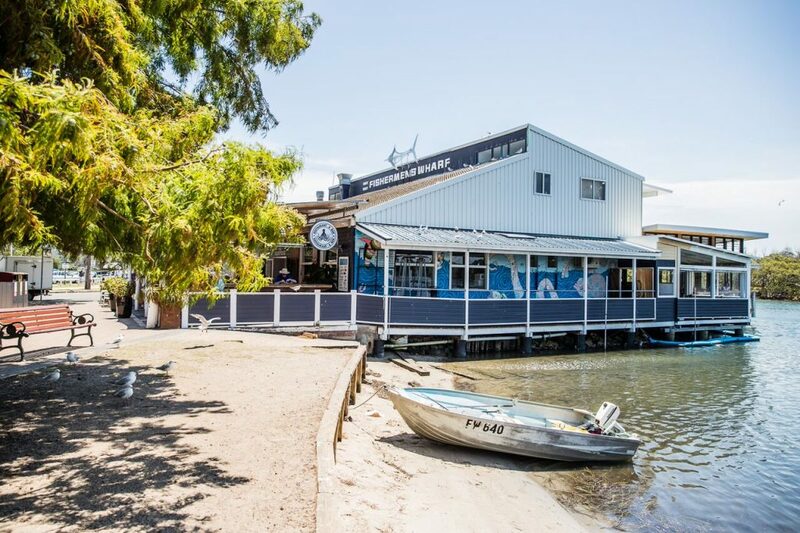 You don’t need to go further than the Brisbane Water for great fishing, right by our wharf. Some would think we’re crazy recommending people to fish right next to our restaurant, but honest to goodness, that’s the spot. There’s happy flathead, bream, whiting and blackfish in Woy Woy – which is why it’s been a really popular fishing destination for more than 100 years. Grab some takeaway fish and chips from us and a six-pack of beer, then make a day of it. Just mind our daily pelican feed at 3pm. Award-winning Woy Woy Fishermen’s Wharf is a Central Coast icon, run by three generations of the Cregan-Clayton family. Enjoy fresh, sustainably sourced seafood to prepare at home, as takeaway or in our stunning new waterfront restaurant. WWFW straight to your email inbox. Enter your details above and you will receive a confirmation email. Once you have confirmed via the email, you will be added to our list. You can unsubscribe any time.